Are you looking for the perfect Father’s Day gift for your father who loves vodka? 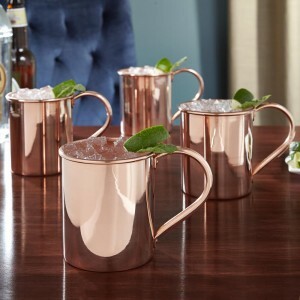 How about a set of real copper Moscow Mule mugs? 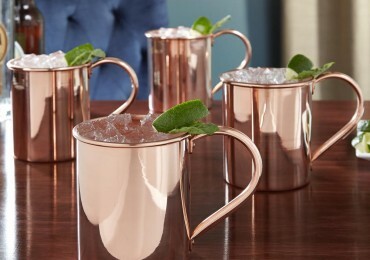 Real copper mugs are sure to impress as they truly do make the overall experience much better when having a Moscow Mule. These 18 oz Mugs come as a set of four (4) and are currently on sale for $91.80. You may question the high price, however these mugs are made of real copper and are not a knock off product that is simply copper plated. Each measures 4 x 5.25 x 3.5 . Hand wash only.